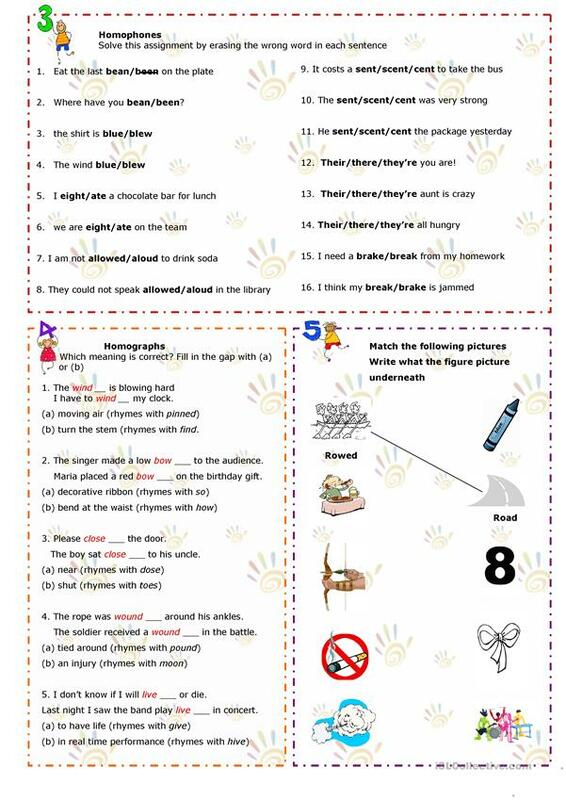 This downloadable printable is meant for elementary school students at Upper-intermediate (B2) level. 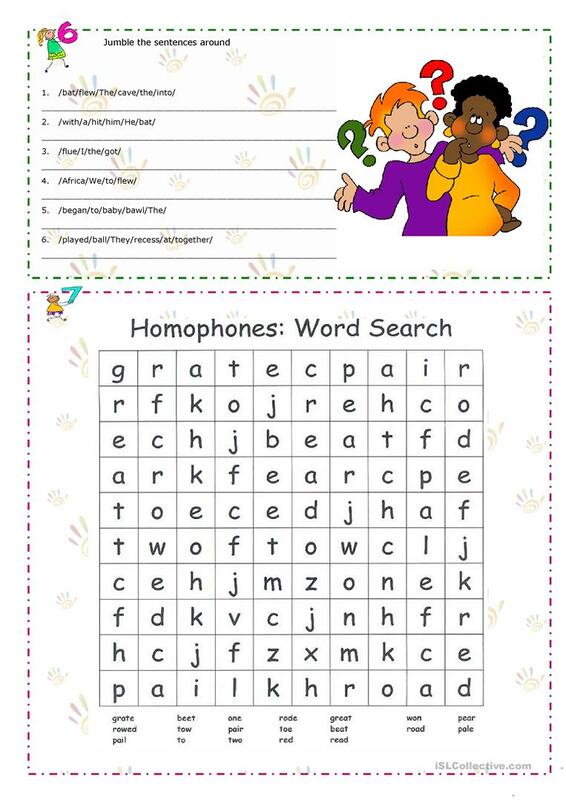 It is valuable for consolidating Homonyms (two words with the same pronunciation - homophones and homographs) in English. 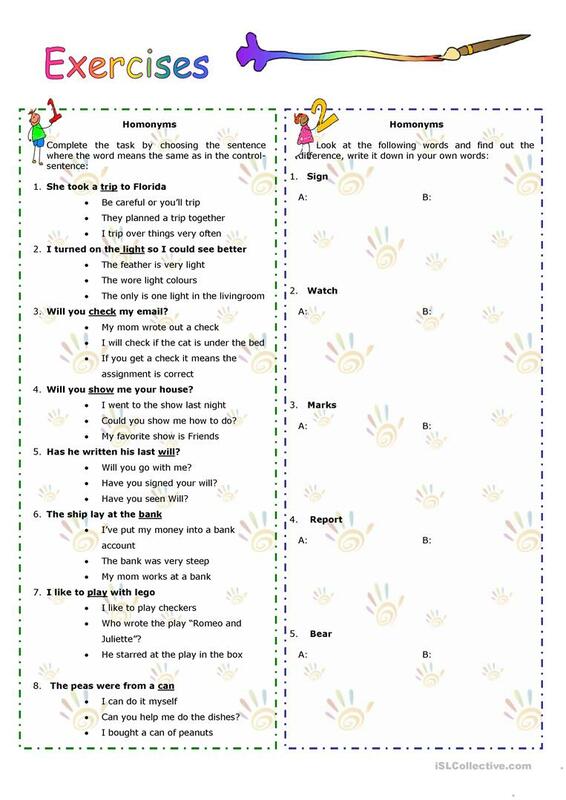 It focuses on the theme of Homonyms and Words easily confused. lisette128 is from/lives in Denmark and has been a member of iSLCollective since 2010-11-29 16:28:22. lisette128 last logged in on 2015-05-21 15:09:14, and has shared 1 resources on iSLCollective so far.